Today’s post was provided by the Southern Seabird Solutions Trust. 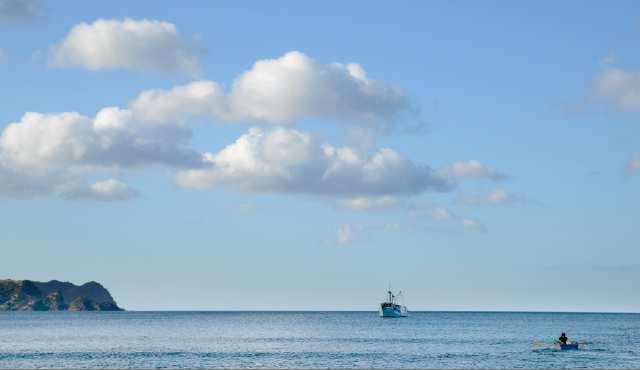 The trust is a partnership between the commercial fishing industry, WWF and the government. 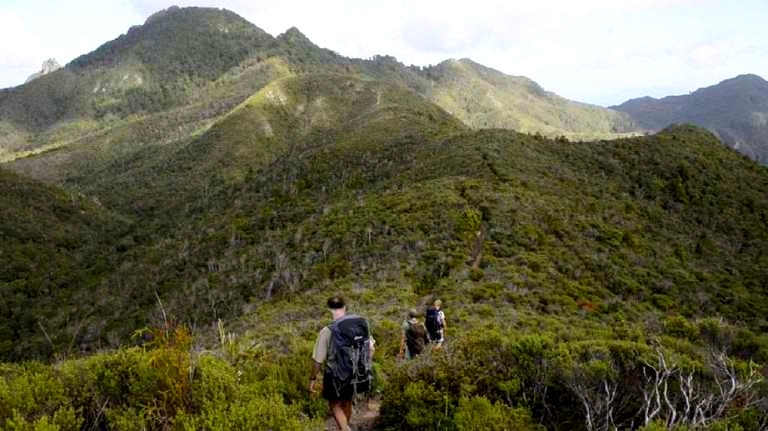 At this time of year there is plenty of night time activity at the top of Mt Hobson/Hirakimata on Great Barrier Island. 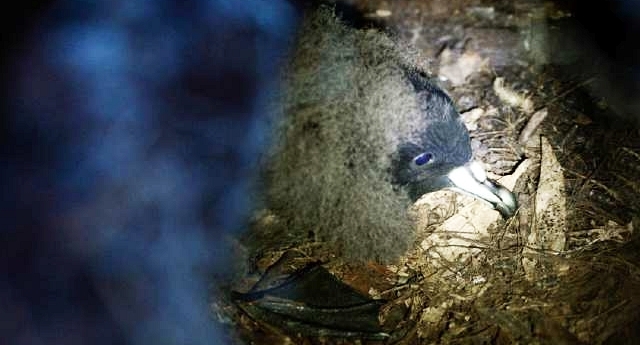 Black petrel chicks, with new glossy adult feathers, are coming out of their nest burrows and furiously flapping their wings. When they feel strong they waddle to a prominent rock and launch themselves, flying off towards South America where they stay for a few years before returning to find a mate and nest. Black petrels used to breed on high points throughout the North Island and top of the South Island, often flying far inland to nest. They played an important role in the health of the forest, bringing rich nutrients into the ecosystem from the sea. Their droppings, eggshells, and dead chicks were deposited in the forest and they aerated the soil with their digging, acting like little composters. 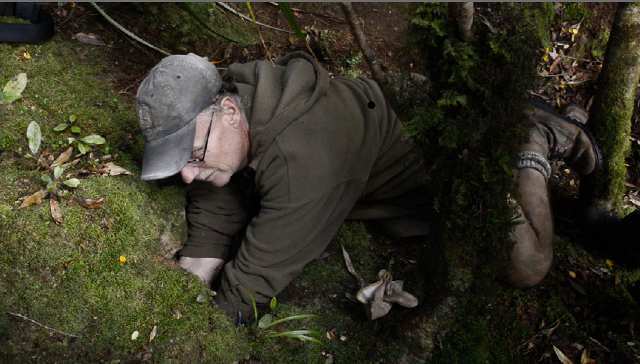 This annual foray inland went on for millions of years. After the arrival of people the mainland colonies slowly disappeared as habitat destruction and predation by rats, cats, stoats, and pigs got the better of them. 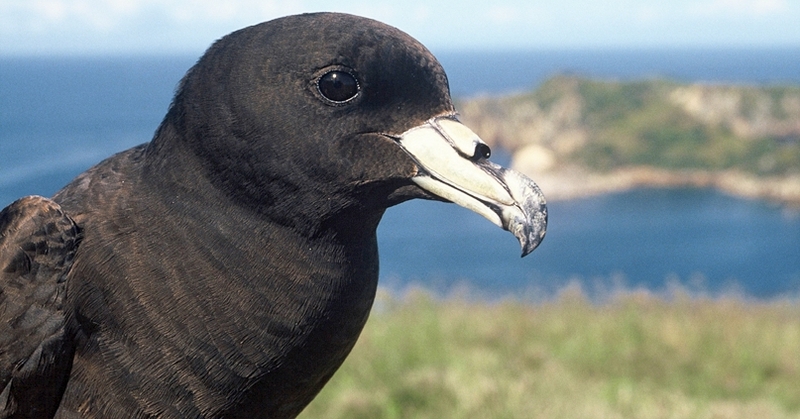 There are now about 15,000 black petrels left in the world, and of these only around 2,000 breeding pairs. Whitianga and Leigh longline fishermen Adam Clow, Wayne Dreadon, Gavin Perry, Clayton White, and Mark Dellow, along with Leigh Fisheries employee Angela Cole, and boat builder Mitch Pascoe, recently joined Biz Bell, Seabird Researcher, on top of Great Barrier Island to help band black petrels before they flew off. 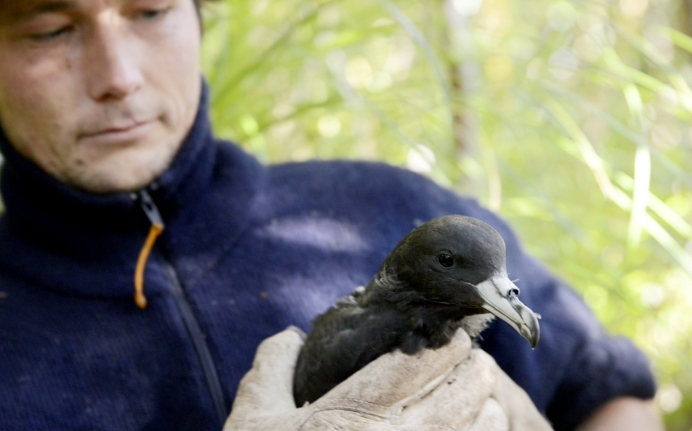 “Five minutes after meeting Biz I was up to my armpit in a black petrel burrow, carefully pulling a bird out then holding it while she banded it,” Gavin says. Gavin says that no fishermen like catching birds and he and others in his fleet follow the Leigh Commercial Fishermen’s Code of Practice, developed by Leigh fishermen over 20 years ago. Wayne, Adam and Gavin agree the dangerous time is when they’re setting gear before dawn and birds want to dive on the baited hooks. They use tori lines to keep the birds out of the danger zone and weights to sink the baited hooks fast so the birds won’t dive on them. They make sure the deck lights point in inwards to minimise the visual presence of the boat at sea. And they hold scraps onboard when there are hooks in the water – tipping a bucket of fish scraps overboard is like a dinner gong for seabirds. “This experience hammered in the vulnerability of these birds and their importance as a species. It gave me a totally new respect for them. It would be great if all fishermen did this trip to the colony at least once,” Gavin says. Never mind everyone, turns out the bird was okay and flew off just a short while ago. Hi Sara. Did you manage to get a photo of the bird? Would you be able to send it through to socialmedia@doc.govt.nz? Hi name is Sara, and I am a USN sailor. This evening during my shift I found a small black bird on board that appeared to be hurt so my friend and gently got hold of the bird and we now have it in our work center. I look on Google for seabirds that resemble this one and from what I found I believe it is a Black Petrel. Now I am stationed in San Diego where there really is not a lot of forest habitats and according to the site I have researched that habitat is crucial for the birds survival. What do I do once we return to home port? Great informative story – thanks for sharing. What a win/win/win situation for SSS/Fishers/Petrels getting the fishers involved on the ground. Congratulations to all involved. This is great news. Fishermen and ornithological people working together. I can remember being horrified watching seabird after seabird being tangled on a recreational fisherman’s line on a charter boat coming from Mayor island to Mt Maunganui a few years ago. The fisherman was gutting fish, discarding the carcasses overboard while continuing to fish as the boat was moving. I protested loudly and after the 3rd bird was cut loose by the offender, and my verbally harassing him, he gave up fishing. That was 3 birds within half an hour! Ever since reading about the essential nutrients brought into the American forest system by wild salmon (traced through a isotope of Nitrogen) I have been wondering about the decline of bird nutrients and fresh water native fish nutrients brought into our NZ forest system. The decline in health of Puriri trees, even after grazing cattle and possums have been removed has concerned me. This species of tree must have been an amazing food source for so many birds in the past. Is there any research being done on this?